The Speed Strip Kit consists of a 2-piece bolt stop pin and precision machined hammer. Once you have installed your Speed Strip Kit, all you need to do to disassemble the pistol for normal cleaning is to unscrew the new bolt stop pin with your Allen key (supplied) and remove it from the top of the pistol. Then you can slide the bolt out for cleaning. To reassemble, slide the bolt back in, screw the new bolt stop pin back into place and that�s it. It's that simple! This is the newest Speed Strip Kit and it is called the 3.2 Conversion Kit. 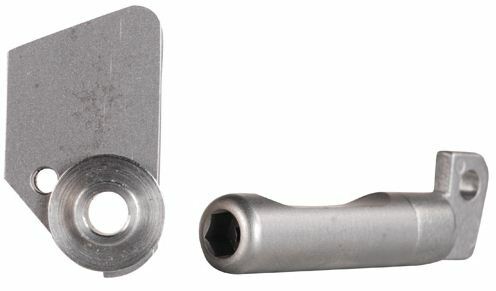 This Kit will fit any of the Ruger .22 Auto Pistols and allows MK III owners to safely omit the magazine disconnect feature. This Kit is supplied with a new hammer pivot bushing which as an added benefit will reduce the pre-travel of the trigger by 65%.